How has your day been? Today I will be reviewing a much loved, cult beauty product! 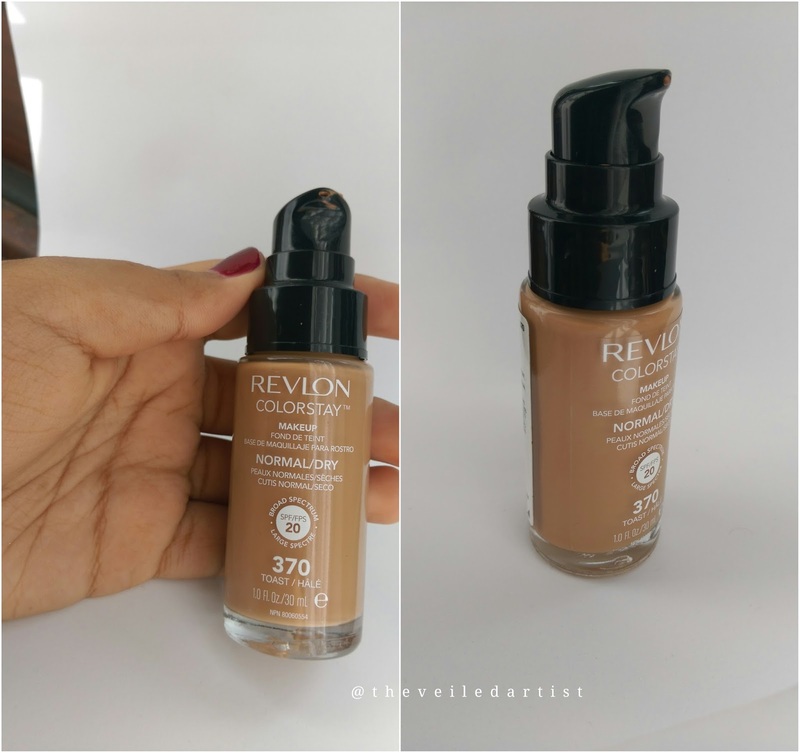 The Revlon Colorstay foundation! I have tried both the formulas, i.e. Combo/Oily skin and Normal/Dry skin in the shade 370 Toast and the latter seems to work better with my skin. Read on to hear my genuine thoughts on it! 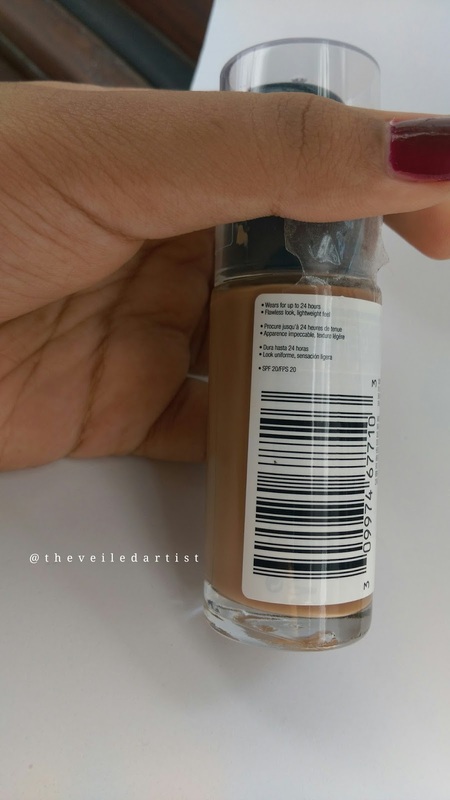 This foundation can cost you anywhere between $9 and $17 depending on where you purchase it. I get mine for $9 but I pay $7.50 for shipping which makes it $16.50 haha and you get the standard 30mls/1fl.oz. of product. It comes in a clear glass bottle with a plastic cap. While I don't know how strong the glass is because I haven't dropped any of mine so far, I love that you can see how much product you have left. I have traveled with these quite a bit though and the caps didn't come off of any of them so I would say it is quite travel friendly. While the old packaging didn't have a pump, the new one does and that's always great! Not only will you waste less product but it also keeps the product fresh longer because you're not exposing the foundation to air. For a very long time I was using the combination/oily formula and even though I have oily skin, I felt like it looked a little too matte and almost powdery on me. So I bought the normal formula to mix in but when I one day decided to wear this alone, I fell in love! On my normal-oily skin, it has a beautiful dewy finish. 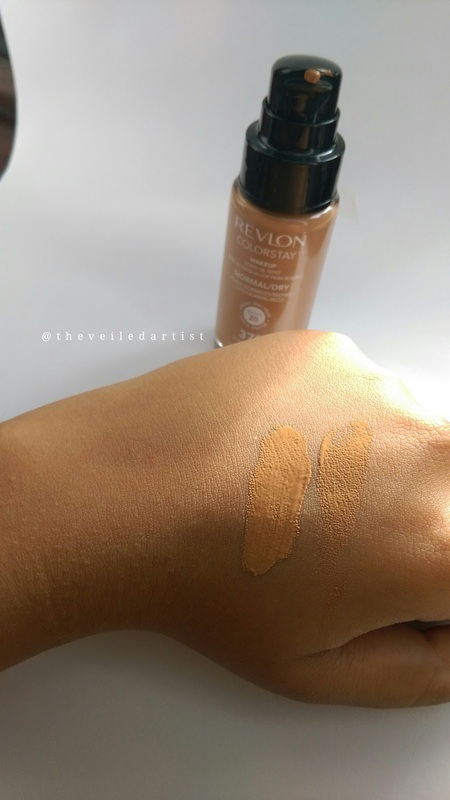 Even though Revlon claims that this will give you full coverage, I would say that that claim is only true for the combo/oily formula. With this, the most you'll get is medium coverage. I still need concealer to hide some darker acne scars. 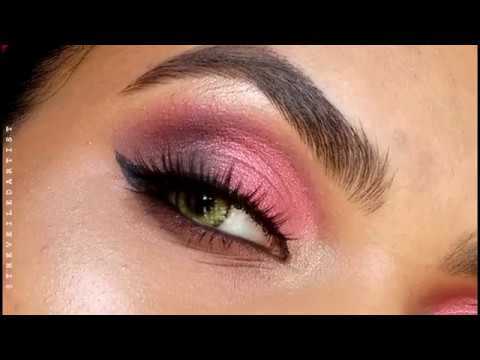 I love how you can build the coverage up using a flat top brush or blend it and sheer it out with a damp makeup sponge depending on the look you're going for. I use about 1-1.5 pumps for my entire face. I do find that it gets slightly greasy throughout the day even when I had initially set it with powder but my skin does shift from normal to oily quite a bit. So I don't blame the foundation haha. 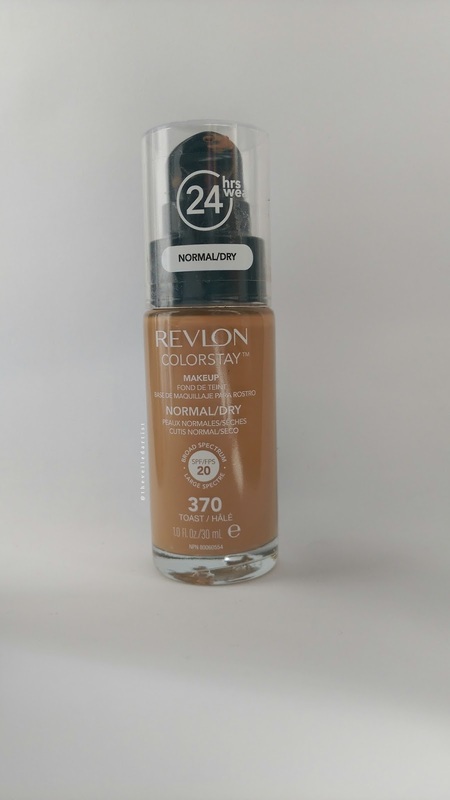 It has a slight classic foundation-y scent but that wears off quite quickly. I have one of those in between, hard to ever find a proper foundation match, skin tones! And Toast was MY SHADE after it oxidizes slightly! But I feel like recently I have gotten a bit lighter and so I might have to try the shade natural tan! 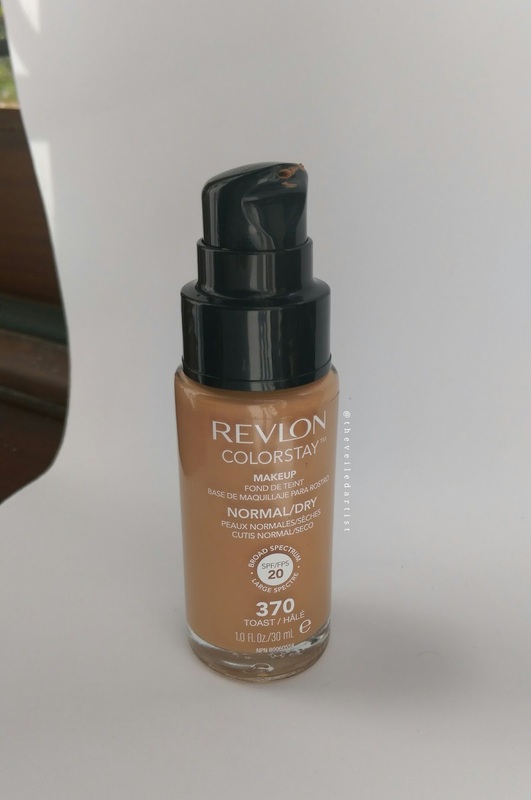 I think one of the main reasons this foundation is such a popular, cult beauty product is because, besides the formula, the shade range is quite impressive! Especially for a drugstore foundation. This formula as well as the one for combination/oily skin comes in 13-20 different shades! And you can find a good balance of warm, cool and neutral undertones amongst the shades. This foundation wears very well on me! Even though it comes off quite a bit when I blot my face with a tissue throughout the day, I don't lose much coverage and it stays gorgeous and glowy for atleast 6-8 hours. I'd say this is a great foundation for events as it photographs beautifully but be careful not to use your phone's flash because it does contain a good SPF 20, you will see some slight flashback. Totally guys! This is my holygrail foundation that I have been using and loving for years and so have many other people. It's super affordable and is great for new makeup artists starting to build their bridal kit as it has a great blendable, buildable formula and comes in a gorgeous range of shades. Thank you so much for reading my loves! 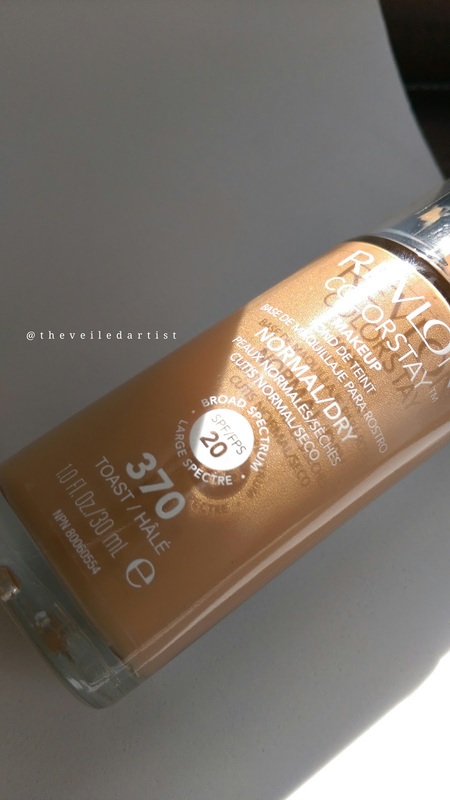 Have you tried this foundation? If so, how was your experience with it? Comment below! You can check out my last post here! It was a tutorial on easy cartoon liner for Halloween!